You won't have seen this before! 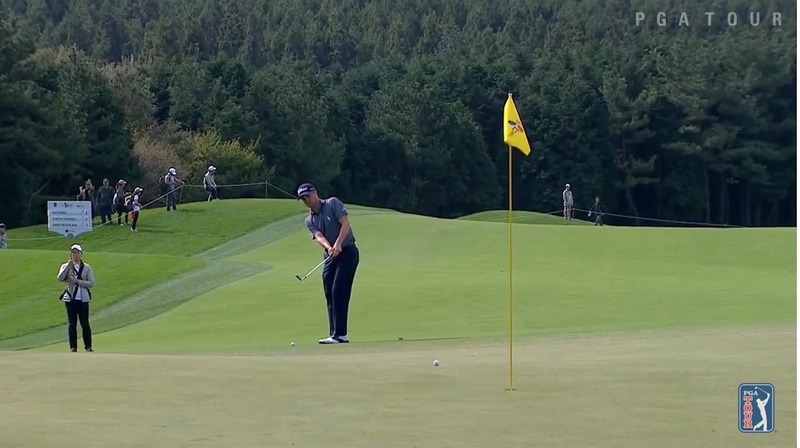 His chip over the footprint saved his par on the fifth to stay seven under. Very nice work indeed Mr Thomas.